A magnanimous software to split large PST file of Outlook 2016, 2013, 2010, 2007, and all below versions. The application is compatible with all available Windows OS edition i.e., 10, 8.1, 8, 7, and earlier ones. Split oversized PST files into smaller parts and prevent corruption. Truncate archive PST file with items like emails, calendars, notes, etc. This option provides a feature to split a heavy PST file into numerous smaller parts. The software creates one PST file of each year that are present in browsed PST file. E.g. 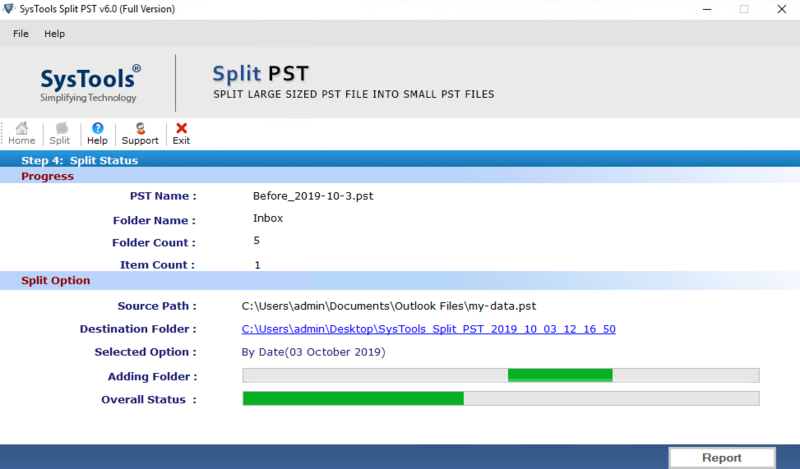 : Suppose the large PST file is having mailboxes from year 2017 to 2020 then, our tool creates 4 PST files each having data of one year, respectively. 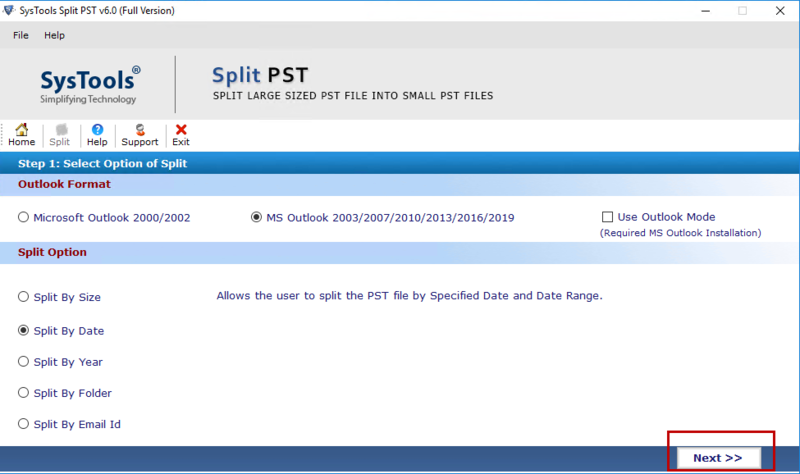 The split PST application is equipping a smart option to split PST file on basis of folder. 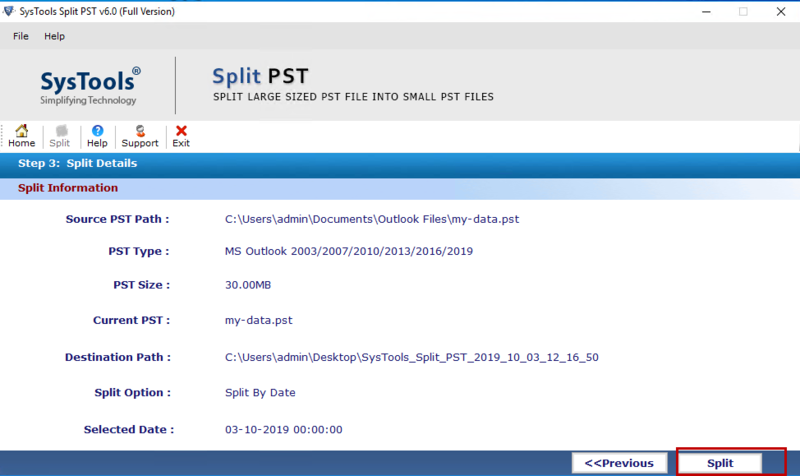 For example : an oversized PST file comprises of Inbox, Outbox, and Draft folders then, this PST splitter will separately create inbox.pst, outbox.pst, and draft.pst files. There is an another option provided to trim PST files on basis of a specific date range. A person have to describe the date duration in which he/she wants to break down the file. 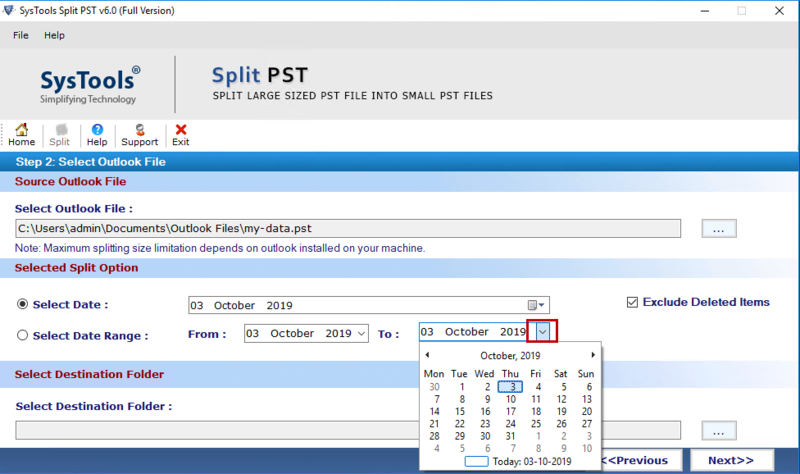 This feature will separate large PST file in only 2 parts : First part comprises ‘of and prior’ data and another comprises of ‘after the date’ data. 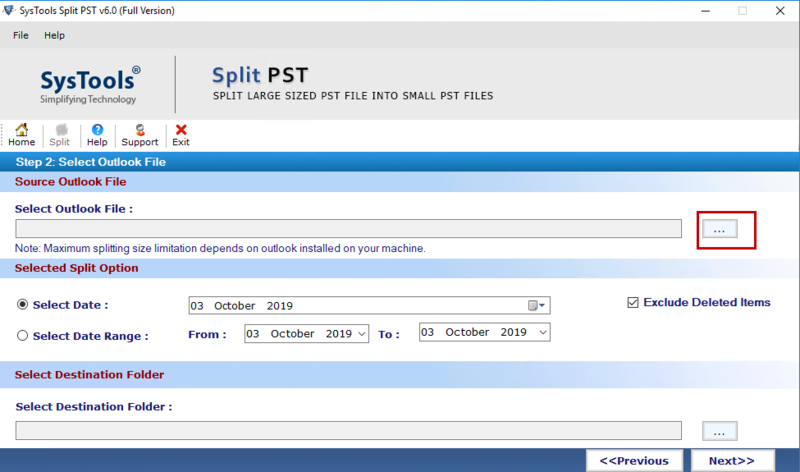 Activate this option in split PST software to break Outlook data file by size. The file size range should lie between 5 MB to 10GB. All output PST files will be having same size and it might be possible that last file size might vary. It is so because the last file size is dependent upon mentioned and overall size. PST splitter is a safe and secure approach to break down large sized PST files into smaller parts. The data items like emails, address book, calendars events, etc., before and after splitting remains same. Besides this, PST emails with their respective attachments are also preserved in the entire procedure.. The software displays a screen in which users have to mention the Outlook format on which they are presently working upon. This feature will enable utility to automatically determine PST file from machine where MS Outlook is installed. Tool supports PST of all Outlook versions like 2016, 2013, 2010, etc. Why do we need a PST File Splitter Software? In the computing arena, the term PST stands for Personal Storage Table. It is the open proprietary file format, which is used for storing emails, contacts, calendars events, etc., copies. This PST file is associated with Microsoft products like Exchange client, Outlook, and Windows Messaging. Till today’s date, there are 2 types of PST files available i.e., ANSI and UNICODE PST. The latest versions of Outlook utilizes UNICODE PST for their storage purpose. Note : Depending upon a user requirement, the location of PST file can vary. But, the default location is C:\User\Admin\Document\Outlook File\username.pst . Why to Split Oversized PST File? The major reason behind truncating heavy PST files is corruption. If the PST file size limit exceeds then, corruption can occur in the major Outlook storage file. Apart from this, it becomes difficult for an individual to tackle with large PST file therefore, users look for solution to split it for management purpose. It is a risk-free approach to fragment PST file of Outlook 2016, 2013, 2010, 2007 and below. The product supports PST file of both type i.e., ANSI as well as UNICODE. 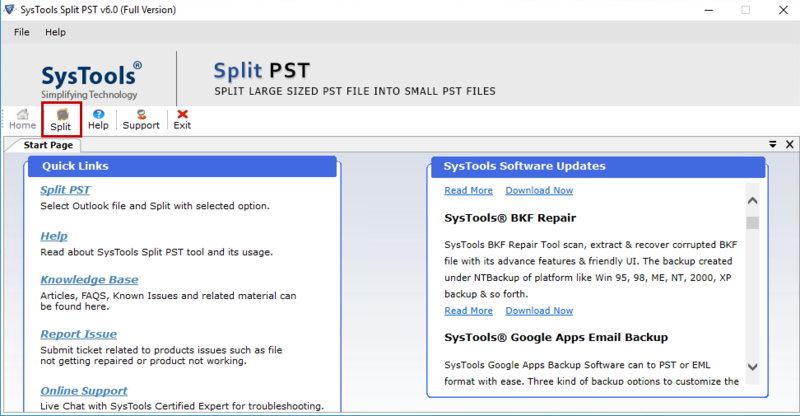 Split PST tool is available in two versions i.e., Free and Licensed. The trial edition splits only first 50 emails and rest are kept intact. Therefore, users can opt for a purchased version that is having no limitation imposed on it. Step 1: Install the software after downloading. Start the tool from Start >> All program >> PST File Splitter. Click on Split. 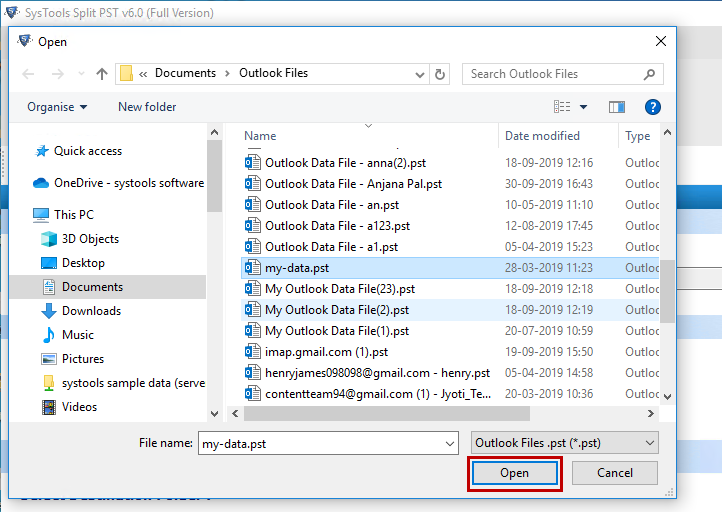 Step 2: Then, Select the Outlook version i.e. present on your system. Choose the Split option you want to go for. Click Next. Step 3: In case you select the option of Date. Click browse to select input file. Click Next. Step 4: Click Open to navigate to the required input file. Step 5: Select the date range you want data for. Then, browse for the destination location. Click on Next. Step 6: Hit the Split button. Step 7: In next window, you will get the entire information regarding the status of process. Step 8: Click on Saved CSV. Step 9: You will get a notification after the completion of the process. Click OK. Does your software requires Microsoft Outlook application installation for working? Yes, as the supportive application, our tool requires Outlook installed on machine where software is to be used. Any version of Outlook will easily be supported by our software for its working. Is it possible to split corrupted PST file with help of your tool? No, our software is capable of working with healthy PST files of unlimited size. In case, PST file is corrupted then, first repair file with Outlook recovery tool and then, utilize this product for splitting. Does your product break all email data items, which are associated with a large PST file? Yes, our utility is designed in a way that it divides PST file with all its items equally. Emails folders with sub-folders and other PST mailboxes are separated by our tool. I had used this PST splitter for breaking large PST files of Outlook 2010 into smaller parts. The software worked amazingly in the way I wanted it to be. 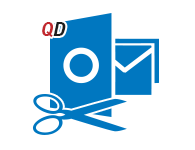 Quickdata amazingly deals with file recovery as well as management products in a surprisingly good way about which no one can think of. Majority of times, I had to moved my Outlook PST files over network and this large file size posed various problems. One day, my colleague suggested me to split PST file by this software for overcoming all my issues. I did the same! Using Quickdata PST splitter was like experiencing a magic. Thank you! How to reduce the size of a PST file in Outlook 2010’ was a question mark for me when my PST file size was getting exceeded. While searching for a manageable solution, I discovered this utility that not only trimmed my PST file but, also rendered me with a hassle-free splitting approach. The best thing that I loved about this product is its working simplicity. This tool provides an effortless way to split PST file by size. There is no need to have any depth knowledge either about Outlook or PST file to work with this software. Thanks for providing such a simplified tool!